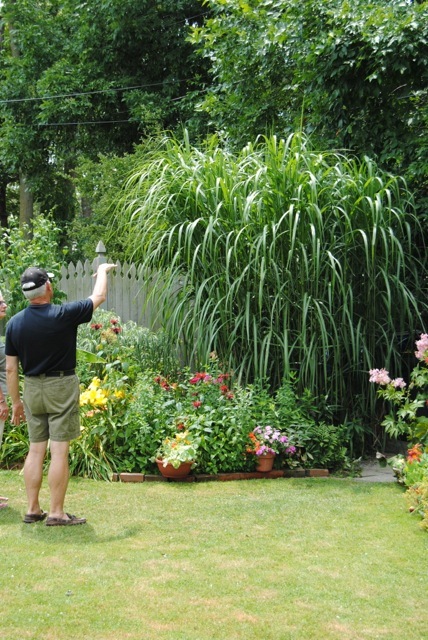 One of the Open Gardens on Thursdays and Fridays. 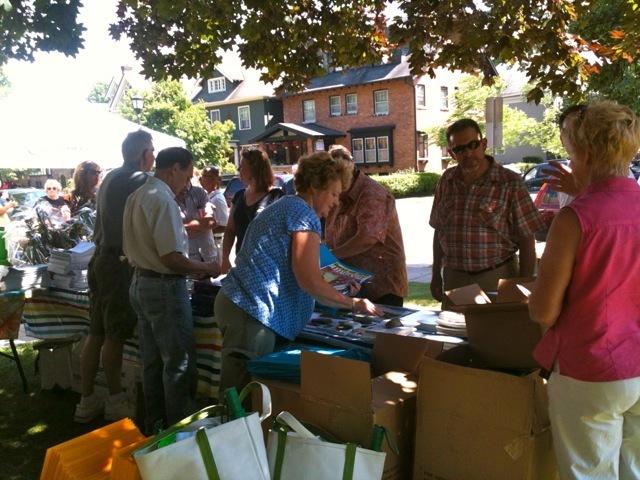 This past Saturday: Rally Party for the Garden Walk Buffalo gardeners (200+ gardeners come to pick up lawn signs, maps, posters and buy this year's new merchandise). One garden tour Lockport in Bloom. Native Plants Day at Lockwoods Greenhouses: speakers and an author's book signing. 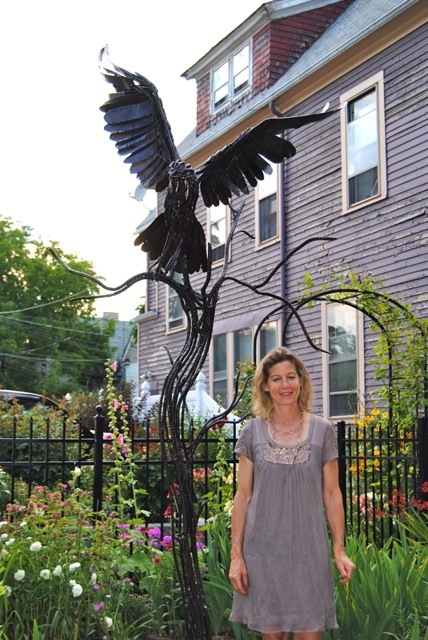 This past Sunday: Two garden tours (Snyder-Clevehill Garden View and Lockport in Bloom); reception for the instillation of a garden sculpture by a NYC sculptor at the home of a Garden Walk Buffalo garden. 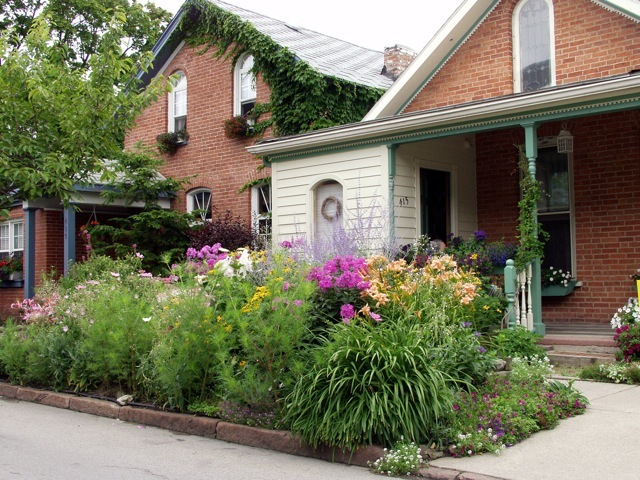 This past Monday: Kickoff of the National Garden Festival's (NGF) Front Yard Contest, making over 15 homes; and the last Garden Walk Buffalo meeting before the event (the largest garden tour in the U.S. with 384 gardens. This past Tuesday: Day two of the Front Yard Contest. 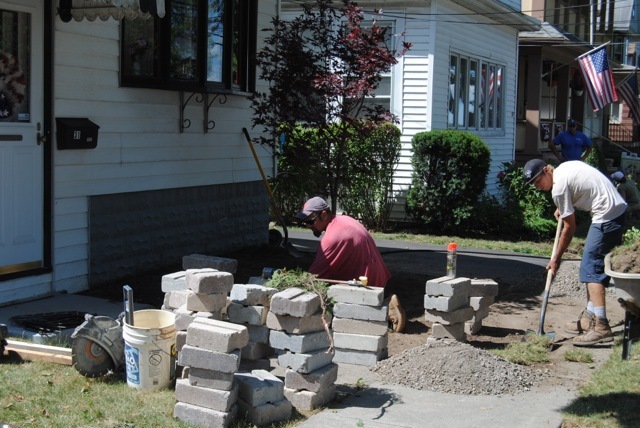 Wednesday (yesterday): Day three of the Front Yard Contest - volunteers from the community are invited to pitch in! 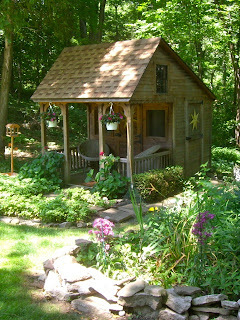 I have to clean my garden to be ready for Open Gardens on Thursday; a wrap-up meeting for the NGF Garden Art Sale. 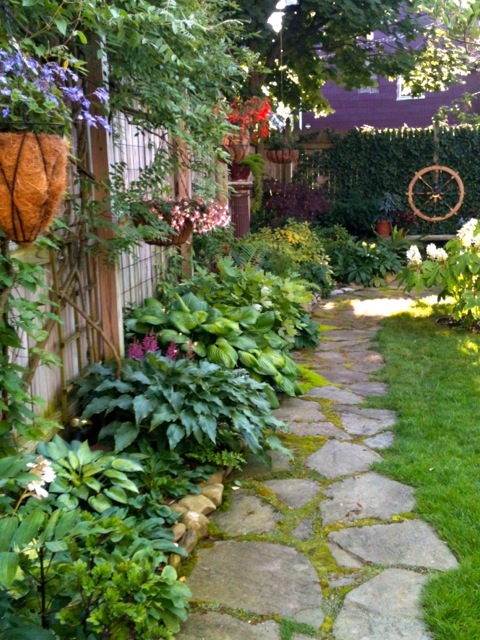 Thursday (today): 67 Open Gardens open for free; Day four of the Front Yard Garden Contest. Friday: 20 Open Gardens free to the public; day five of the Front Yard Contest, an AAA motorcoach tour of southtowns gardens, including the Shadrack garden, Smug Creek; the Olmsted Parks Conservancy's Gala in Olmsted's South Park. Saturday: Three garden tours: Samuel Capen Garden Walk, Grand Island Garden Tour, and Buzz Around Hamburg Garden Walk; a private bus garden tour of Garden Walk Buffalo gardens for Garden Walk Buffalo volunteers; touring two garden writers from Canada around for a preview of Garden Walk Buffalo. 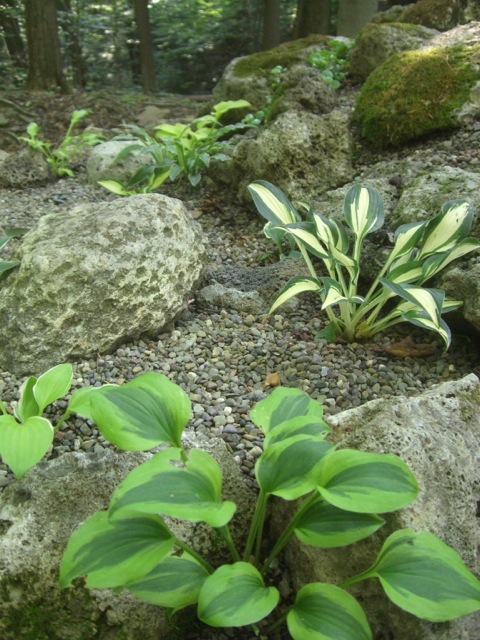 Oh, and the Buffalo & Erie County Botanical Gardens is always there, if you couldn't find anything above to keep you busy! National Garden Festival volunteer landscaper make-over of 15 homes. 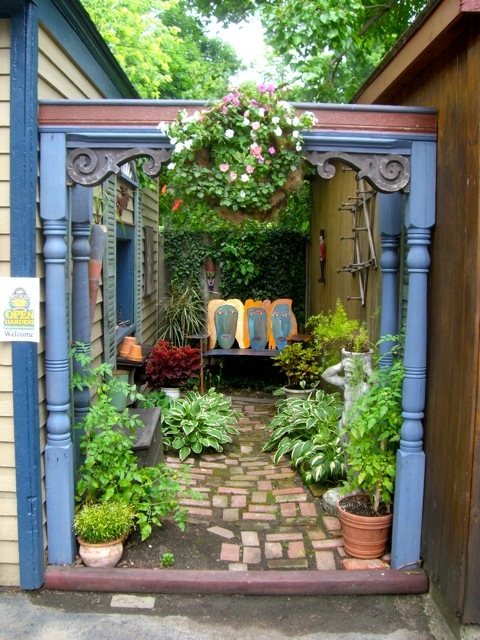 See this on both Open Gardens and Garden Walk Buffalo. 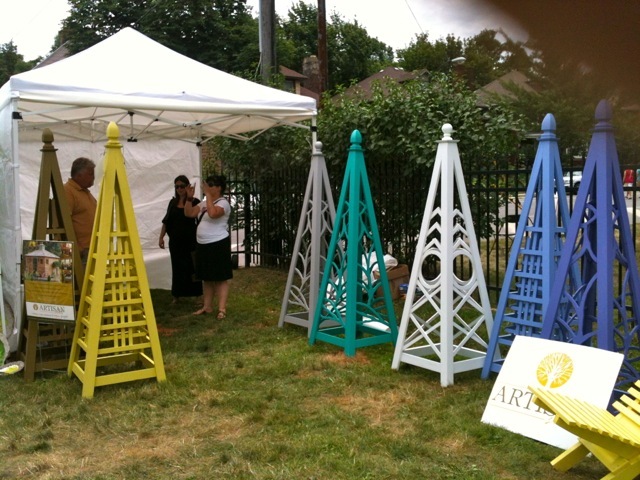 The National Garden Festival Buffalo-syle Garden Art Sale. Garden Walk Buffalo Rally party, where 200 gardeners (of 387) show up to get posters, maps and garden signs. the garden of Mike & Kathy Shadrack. Greenery should be a part of everyone's surroundings either at work place or at home.